Fantastic family portraits from Venture Studios in Birmingham! In this mini series we want to introduce to you some of our studios around the UK. Before we start, let’s tell you a little about how Venture Studios operate. We were founded in 2000, and have now become the UK’s leading family portrait photographer. We currently have 16 studios in the UK, and also have studios in the USA and Asia. A new UK studio in Leicester will be opening in February 2019. Our studios are run as franchises, and we pride ourselves on a tried and tested business model, which combines world-class customer service, market-leading standards of photography, effective routes to market to generate customers, and a unique and contemporary range of products. For more information on running a Venture Studios franchise read our recent article here. Venture Studios in Birmingham was opened in May 2017 by Chris Barber and the team at Venture Studios Leamington Spa, the Studio of the Year 2017. This team is headed up by Jo in Sales, Claire in Photography, Emily in Diary and Nick in production and digital artwork. We will tell you more about Chris and the team in the Venture Leamington Spa article. The same team are also working on the opening of Venture Leicester, which we will focus on in our next article. Venture Birmingham is now the largest Venture studio. Despite being so new, it is also already become one of the top turnover studios in the UK. Combined with Leamington Spa, it has also won 37 image awards in 2018 alone. A significant reason for this is that one of Chris Barber’s main passions is for extreme sport and motorsport photography. 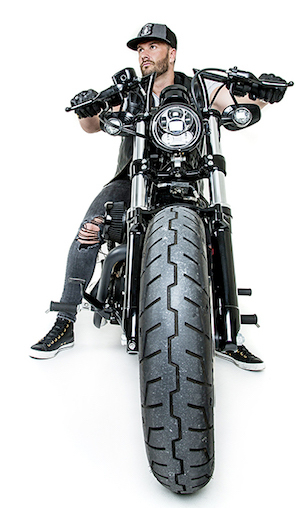 The opening of Venture Birmingham brought the exciting world of car and motorbike photography to Venture Studios! Venture Birmingham has the capacity to offer drive in photography experiences for cars and motorbikes. Our Pride and Joy Motor Experience invites you to bring in your treasured motorbike or car for an experience to remember! Your car or bike will be polished to perfection and you will then enjoy a 2-hour photo session with it. From the series of beautiful photographs taken you can choose one Mini wall art product - valued at £370 - as a gift from us. A gift that you will be proud to show off at home, and will keep your pride and joy the centre of attention! You can see throughout this article some examples of our fantastic car and motorbike photography. But car and motorcycle photography experiences are not the only product offered at Venture Birmingham. As with all our studios, we are passionate about every kind of photography! When you come to us for family portraits we’ll take the time to get to know you and the people you love most, so we can understand what makes your family who they are, and tell the story of you, and your family. So why not come and pay us a visit at Venture Birmingham? Whether you are looking for a family portrait, a Pride and Joy Motor Experience, or any other Venture photography experience we would love to help you to bring your story to life. 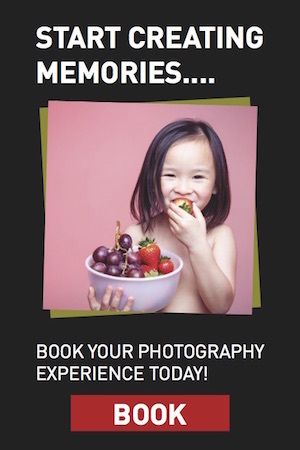 You can either book online, email us at birmingham@venturephotography.co.uk or give us a call on 0121 289 5194. We look forward to meeting you very soon!